After 7 months as the sole content creator for PickTheBrain.com, I’ve decided to open up the site to other writers. I’ve been thinking about this for a long time (it wasn’t an easy decision), but I’m confident it’s the right one and I’m excited to move forward. Here are my primary reasons. Based on the quality of the comments, I know there are intelligent people interested in contributing to the discussion. Having multiple voices will bring diversity to the site’s content and style. It will allow the site to cover topics that I know little about and will help readers discover other talented writers. Having only one person writing is an inefficient way to share collective wisdom. I’m not an expert on everything and I learn a ton from the comments people leave. Allowing others to contribute will create a greater depth of knowledge. I want to give readers the chance to have the spotlight. Not everyone has the opportunity to write for an audience of several thousand readers. Although most people aren’t driven to update a blog on a regular basis, I’ll bet every person reading this has at least one great article inside them. Now you have the opportunity to share it. Writing content is hard, time consuming work. Given the degree of quality I expect and the fact I have a full time job as well, something had to give. At times the pressure to produce content has made me miserable. 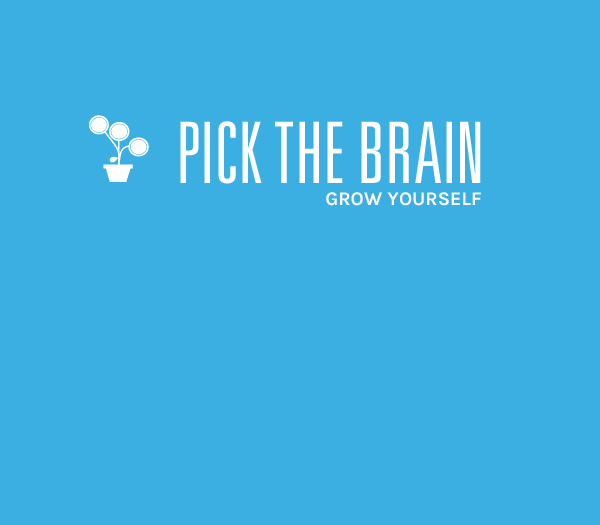 I started PickTheBrain.com in search of freedom, not self imposed slavery. The options were 1) stop posting as much, or 2) find help. Recruiting additional writers will allow the site to share more content and take some pressure off me. I still plan on being the primary writer, but not having to do it alone will allow me to write more inspired, stress-free articles. You now know why this move is good for me, but why should you want to post your hard work here? Money – For those of you who’d rather receive monetary compensation for your efforts, I’m perfectly happy to pay for great content. My biggest fear with inviting other writers to contribute is that the quality of the site will decline. To avoid this, I’m going to be extremely picky about what I publish. Please don’t be offended if I decline an article or send it back with recommendations. Here are the main requirements for content submission. Unique – The article you submit cannot be duplicated on any other sites including your own, and while the content remains yours, you are granting me the right to keep it on this site. Relevant to Self Improvement – I plan to be very flexible on this but all articles should be somehow relevant to self improvement. Extra points for anything that’s intellectually stimulating. I reserve the right to edit content in any way I see fit before publishing it. Send your submissions to john@pickthebrain.com, and I’ll get back to you as soon as possible. I hope you’re as excited as I am about the benefits that new contributors will bring to PickTheBrain.com. If you’re interested in writing but aren’t sure about a topic, here are some suggestions I’m particularly interested in. I look forward to reading your submissions. Adding new voices will help PickTheBrain.com develop into a more robust community than one person could create alone. This is my strong recommendation for you to know what are the most popular and interesting advantages of internet explorer 10 in windows 10 this is a great working web browser and allows you to work at your desktop system more faster and smoother. Thank you so much to this info. Choose the best hight school in your state https://domyhomework.guru/blog/best-high-schools-in-america!